The VK30 is one of Viking's top-of-the-range Microprocessor Controlled detectors. Providing all the features of the VK10 & VK20 this detector goes one step further. This is basically two detectors in one. Firstly it is a Motion detector, providing Target ID, computer-controlled discrimination and beach mode. Secondly it is a Non-Motion detector featuring factory preset tuning and a retune pushbutton. Searching in Non-Motion mode allows accurate pinpointing of targets without the need to keep the search head moving. In Non-Motion mode doesn't, however, provide discrimination, though the display still provides target ID information. 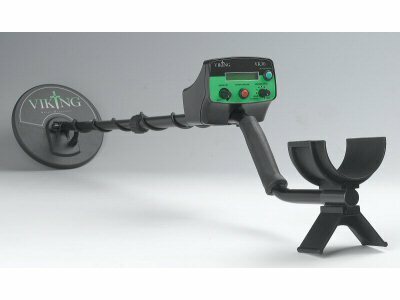 This detector is particularly suited to the serious detectorist, though there is no reason why the beginner who requires maximum performance can not quickly master all of the features. 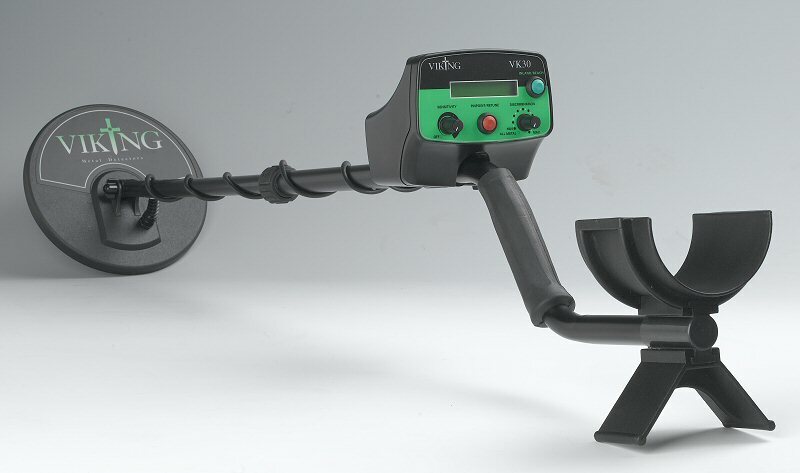 Unlike many other detectors to offer so many features, the VK30 requires no setting up and has no confusing programs. 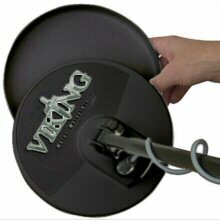 The VK-30 is a classic well-proven Viking detector, and the new model profits from a new housing and improved display interface.